Fashion Designer Joanne Hynes has commissioned Ceadogán Rugmakers to hand tuft an exclusive Striped Tiger Lady rug as part of Hynes’ #JHXDS Autumn Winter 2017 London Fashion Week Collection. The designers DNA of the hand crafted narrative continues alongside Ceadogáns commitment to craft heritage and Irish product. The rug is 7’ x 4’2” and made in 100% pure wool. For orders contact info@joannehynes.com. 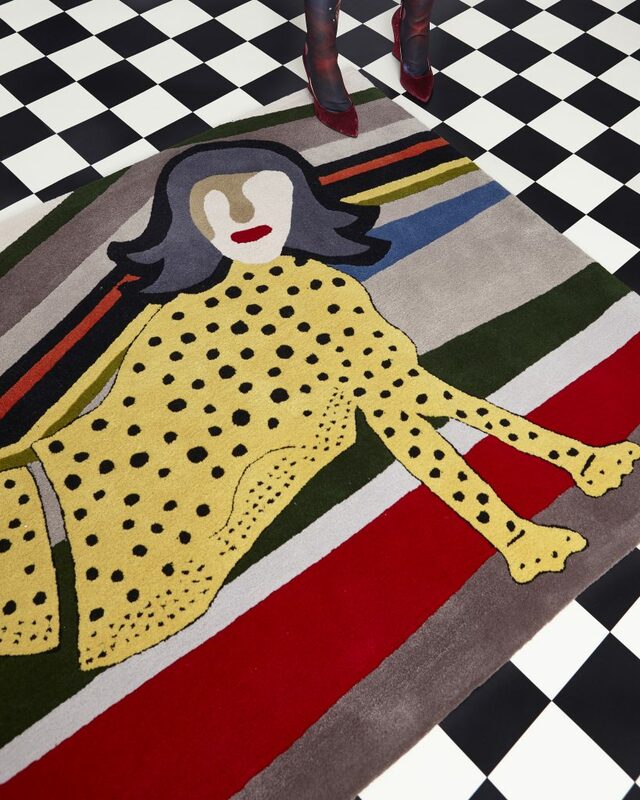 The Joanne Hynes Striped Tiger Lady rug will be exhibited at the Wexford Opera festival in October.